I hope you all had a great Pre-Christmas weekend! I'm so excited for the week ahead--spending time with family and friends, lots of amazing food, laughing while listening to old stories and curling up in front of the fireplace with a little hot cocoa. All of the wonderful things that make up the holidays and I love every minute of it! 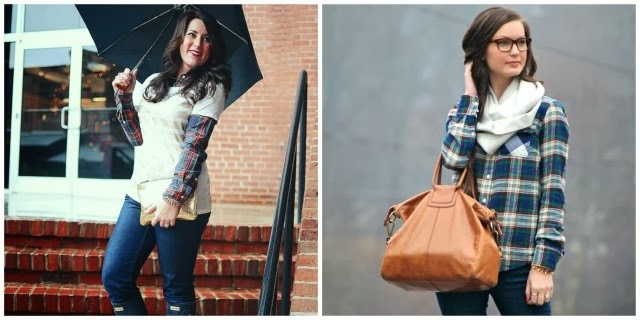 Today, Amy from Coffee Beans and Bobby Pins and I wanted to show you two different ways to wear plaid. 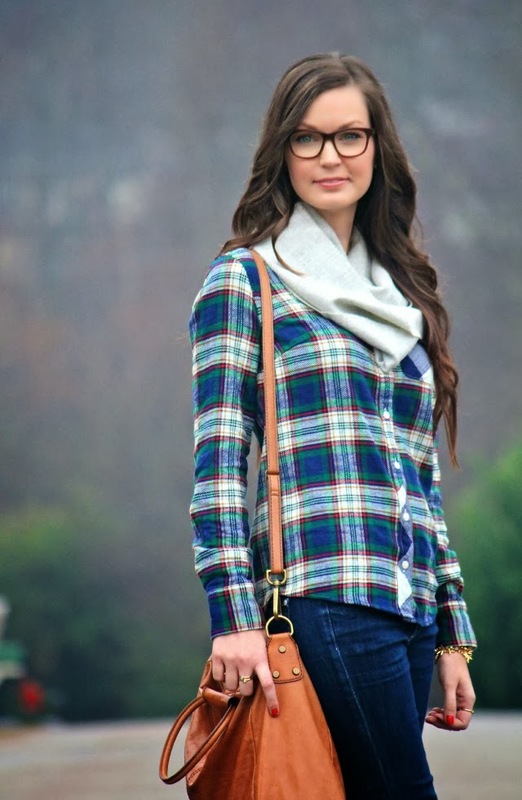 I'm so in love with anything tartan and the print goes perfectly with all of your holiday attire. It's such an easy way to dress an outfit up or down. Also, the hunters were not planned, however, we have had a crazy amount of rain here lately, so I apologize for the lack of outfit posts. 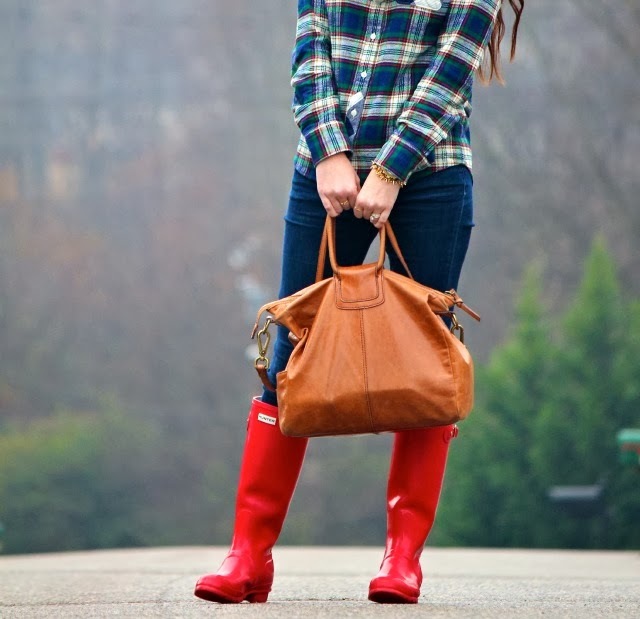 I adore my Hunters, but I must say, I wouldn't mind putting them back in the closet for a few days! Cheers to a magical week ahead, xo. 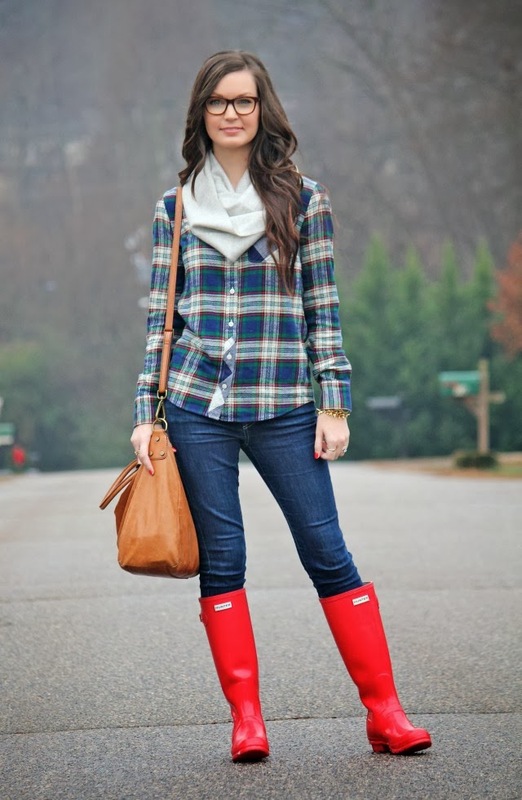 Love this plaid look!! Hope you have an amazing holiday! So so cute. I'm mad for plaid too, and this is perfect! Love those boots! Just too cute!